Tips on starting and running a .NET user group | Joseph Woodward, Software Developer"
As someone that organises and runs the .NET South West in Bristol, I've had a number of people online and in person approach me expressing an interest in starting a .NET focused meet up but not sure where to start; so much so that I thought it would be good to summarise the challenges and hurdles of running a meet up in a succinct blog post. Running a user group isn't a sail in the park, but it's not hard or particularly time consuming either. Hopefully this post will provide some valuable information and reassurance to those looking to create and foster a local .NET focused community of people wishing to learn, share, expand their knowledge and meet local developers with similar passions and interests. The the very first question that can play through your mind is whether you're capable of starting and running such a meet up. If you're having any self-doubts about whether you're knowledgeable enough to run a user group, or whether you have the confidence to organise it - don't. Running a user group is an incredibly rewarding experience that starts off small and grows, as it grows you grow with it. Everyone that attends user groups are there to learn, that also applies to the organiser(s) too. So don't let any hesitations or self-doubts get in your way. One of the first hurdles you face when starting a user group is trying to gauge the level of interest that exists in your local area. I've found a great way to gauge interest is to simply create a meet up group on the popular user group organising site meetup.com informing people that you're interested in seeing what the level of interest is like. You can create an event with no date and set the title to "To be announced" then leaving it active for a few months. 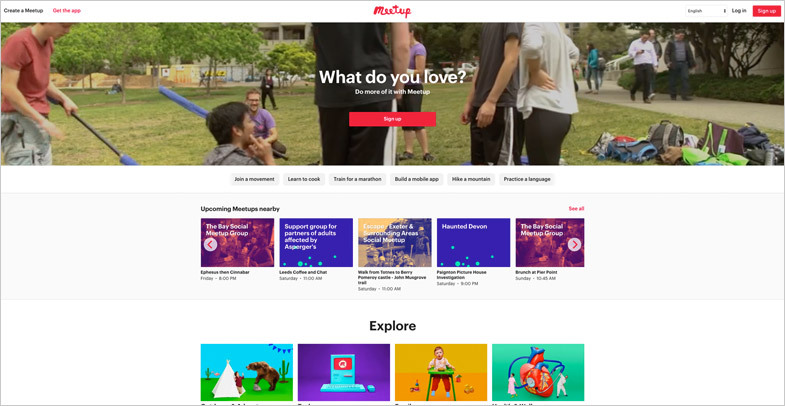 Meetup.com notifies people with similar interests of the new user group and over time you start to get people joining the group waiting for the first meet to be announced. In the meantime your meet up page has a forum where you can start conversations with some of the new members where you can look for assistance or ask if anyone knows of a suitable venue. This time is a great opportunity to get to know local developers before the meet up. If you are on a budget then there are free alternatives such as the free tier of EventBrite which you can link to from a website you could set up. Starting a meet up requires a lot of work, once the meet up is running the number of hours required to keep it ticking along dramatically reduces. That said, there are times where you may have personal commitments that make it difficult to focus on the meet up - so why not look to see if anyone else is interested in helping? If you don't have any close friends or work colleagues that are interested in helping you can mention you're looking for help on your meet up page discussed previously. There's also nothing to stop you from talking to members once the meet up is under way to see if anyone is interested in helping out. If you do have people interested in helping then why not create a Slack channel for your group where you can stay organised. Look for sponsorship to cover the cost of the venue - some companies (such as recruitment companies) are often open to ideas of sponsoring meet ups in one way or another for publicity. Naturally this all depends on your stance around having recruitment companies at your meet up. Approach software companies to see if they are interested in hosting the event. Often you'll find software companies are geared up for hosting meet ups and happy to do so in exchange for interacting with the community (and potentially saving them recruitment costs). Small pubs - I know of a few meet up organisers who host at pubs in a back room as the venue are often aware that a few people stay behind to have a few drinks so it works in their favour too. Ultimately you want to ensure is you have consistency, so talk to the venue to and make it clear that you're looking for a long-term solution. Once you've got your venue sorted the next task you face ( and this will be a regular one) is sourcing speakers. Luckily this finding speakers is often reasonably simple and once your meet up becomes established you'll start to find you have speakers approaching you with interest in giving a talk. I would also recommend looking at other near by meet ups for past speakers and making contact with them via Twitter. Networking at conferences is also a great way of finding potential speakers too. In addition to the aforementioned suggestions, Microsoft also have a handy Microsoft Evangelists (UK only) for finding Evangelists nearby that are often more than happy to travel to your user group to give a talk. Finally, encourage attendees of your meet up to give talks. You're trying to foster a community, so try to drive engagement and ownership by opening up space for short 15 minute lightning talks. 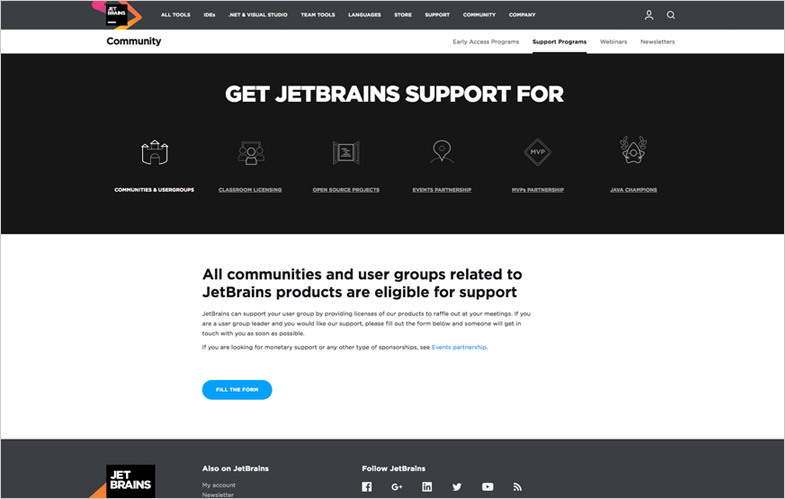 Once your user group is off the ground I would recommend reaching out to software companies to see if they provide sponsorship for meet ups in the shape of prize licences or extended trials - for instance, JetBrains are well known for their awesome community support programme which I'd highly recommend taking a look at. Some companies require your meet up to be a certain size, some are more flexible on what they can provide, often being happy to ship swag such as stickers and t-shirts instead which can be given away as prizes during your meet up (though if you're accepting swag from abroad then do be sure to clarify import tax so you don't get stung). Swag and prizes aren't essential for a meet up, but it's something worth considering to spice things up a bit. Hopefully this post has given you some ideas if you are considering setting up a meet up. 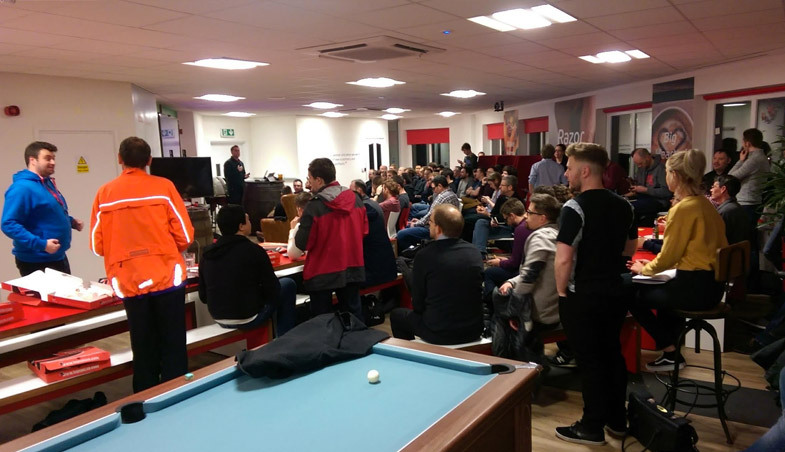 Organising a meet up and running it is an extremely satisfying responsibility and it's great seeing a community of developers coming together to share knowledge and learn from one another. So what are you waiting for, go for it!